Bhavnagar is one of the major tourist attractions which is located in Gujarat. It attracts many domestic and international tourists. There are a lot of tourist attractions in Bhavnagar. 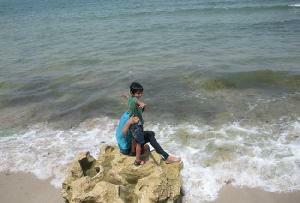 One such spot is the Gopnath Beach in Bhavnagar. 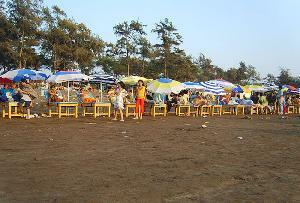 In fact, this beach is rated highly amongst the Beaches in Gujarat. As a result, a large number of tourists come here to enjoy the serene beauty of this place. Gopnath was once upon a time the summer retreat of king of Bhavnagar, Maharaja Krishna Kumar Singhji. So, the beach of this place also got some royal attention. The sea coast offers awe-inspiring scenes with its stunning limestone cliffs and great views. The sea breeze and the colorful birds-all make for an excellent respite from the hustle and bustle of the city. 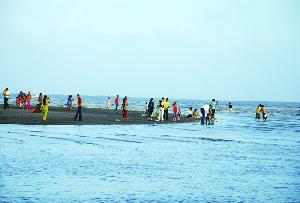 Gopnath beach in Bhavnagar has exquisite, firm sands for walking. For wading, the shallow shore waters offer the ideal setting. However, it is not an ideal place for the swimming purpose as it has a high tidal disparity of the coast. This turns the water murky and hence unfit for swimming. 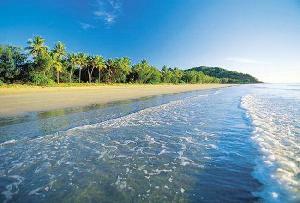 This beach offers some of the most awe-inspiring sceneries to the tourists and it is a paradise for the nature lovers.